This 100+ year old farmhouse features small bedrooms with fabulous light and interesting architecture. That light, however, was becoming a problem for the homeowners. In addition, they wanted to add some decorative elements to their space without covering up all of their woodwork. To combine form with function, we settled on a custom-made Roman shade. The striped faux-silk fabric brings color and pattern to the room, but not so much that it will be trendy and out of style in a short time. We choose a “hobbled” design, meaning it has “loops” of fabric even when fully closed. 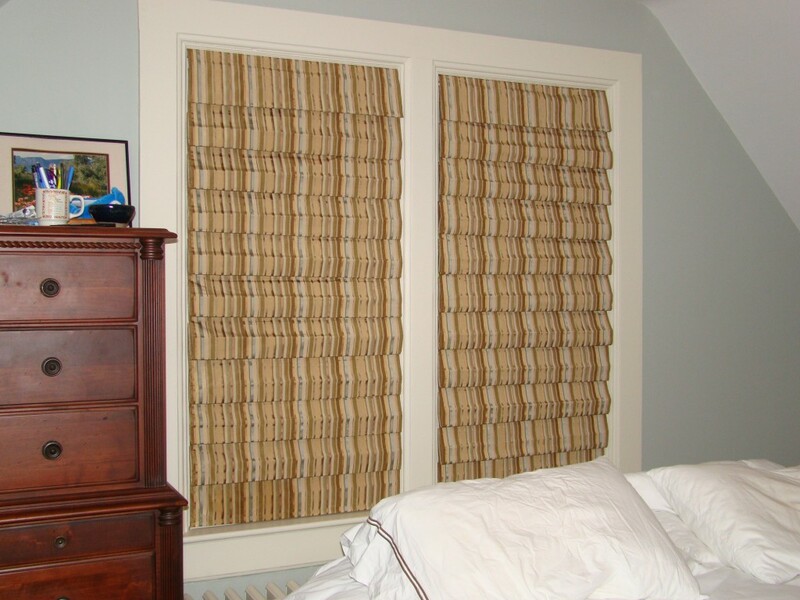 A flat Roman shade flattens out completely when fully lowered, leaving a flat sheet of fabric at the window. The hobbled Roman shade adds a bit more softness to the room, as it always has some fullness whether opened or closed. Roman shades create their own “valance” at the top of the window when opened, bringing style to the room whether they are open or closed. 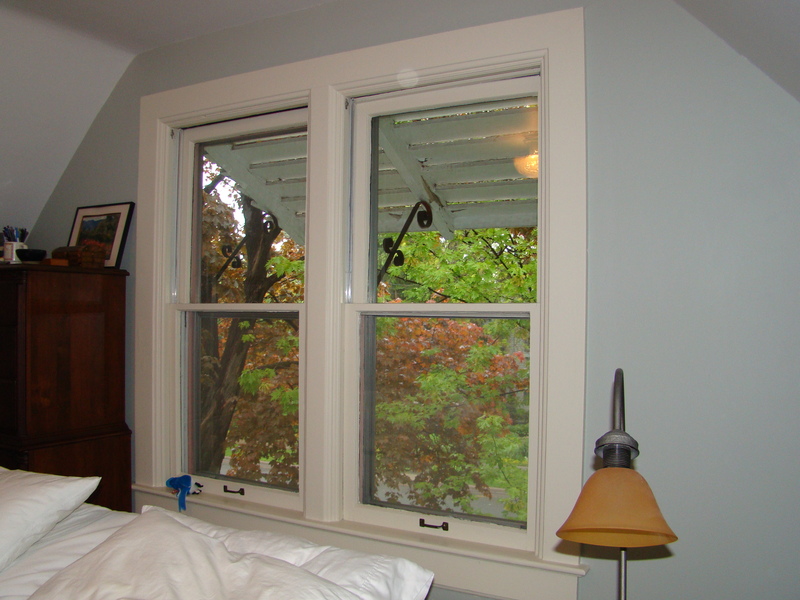 And, mounting them inside the window frame meant that we could keep their wood trim exposed. What do you think? Are you a fan of Roman shades? You may want to consider them for places where beauty and function – and woodwork – are equally important. 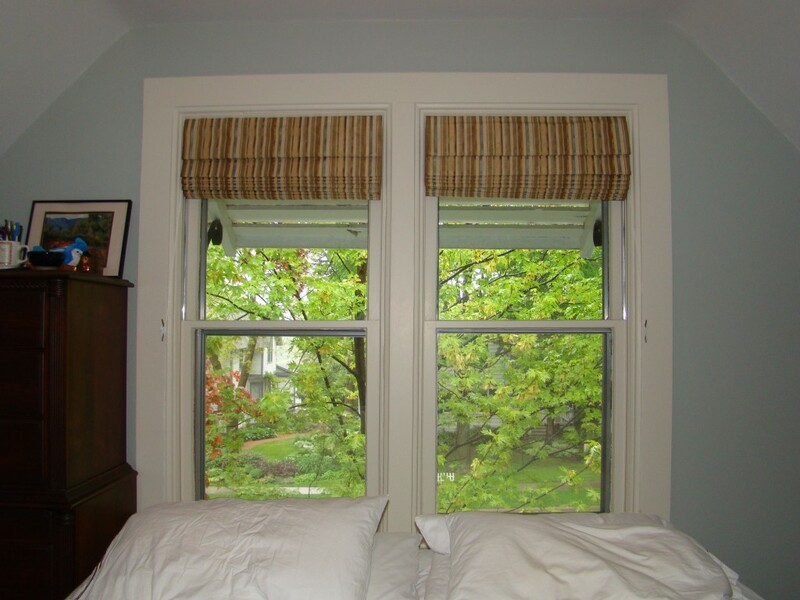 Roman shade is best treatment for your home and office windows.